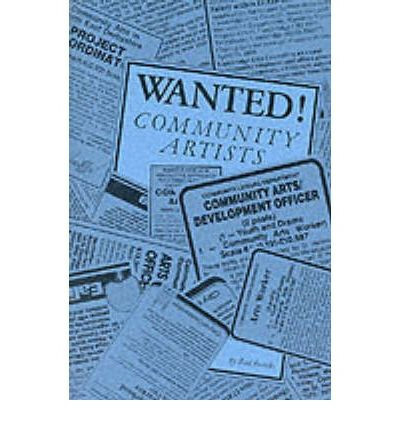 In 1981 the Calouste Gulbenkian Foundation funded a pilot community arts apprenticeship organised by Theatre Workshop Edinburgh. This proved successful and funding for a second apprenticeship was provided in 1983. At this time many community arts projects were facing difficulties in finding suitably trained community artists – that is, people not only possessing good arts skills but also the confidence and sensitivity to work in and with communities. This shortage coincided with the long-awaited quickening of interest in community arts by local authorities so the Foundation invited experts to form a working party to examine ways in which training could be undertaken more effectively. Consistent with the lessons learned at Theatre Workshop Edinburgh, the working party was unanimous in recommending that workplace training, with opportunities for outside placements, was the best option. This recommendation provided the basis for the Gulbenkian Community Arts Apprenticeship Scheme. This booklet describes what was learned in the four years of the scheme. It is partly based on the monitoring of the first year’s apprenticeships, so diligently undertaken by Stephen Lacey; and on the many regular reports sent back by members of the working party, each of whom kept in contact with one or two projects each year. Further information came from meetings which took place from time to time with the apprentices, and with the host organisations. We hope that this distillation of what was learnt will be useful to existing or potential organisers of training programmes for new community artists; and that it will help to generate debate about further training opportunities and methods.